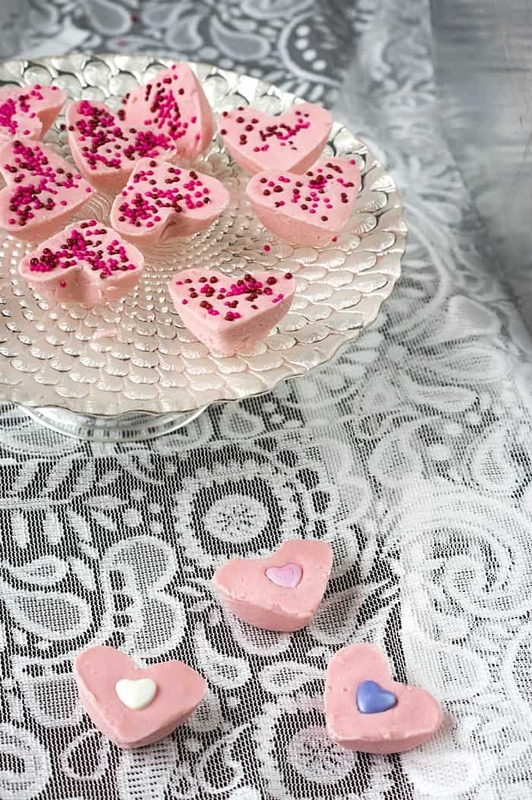 This Strawberry 2 Ingredient Fudge recipe is the perfect fast and easy treat to make just in time for Valentine’s Day! Using two easy and inexpensive ingredients, you can make a delicious fudge that is creamy, easy, and practically foolproof! 2 Ingredient Fudge recipes are my favorites. The base of this recipe is to use chocolate chips and frosting to create a simple flavored fudge that sets up into a creamy yet firm texture reminiscent of the old fashioned fudge you grew up eating. The best part is you don’t have to stand over the stove watching for ingredients to reach a certain temperature. 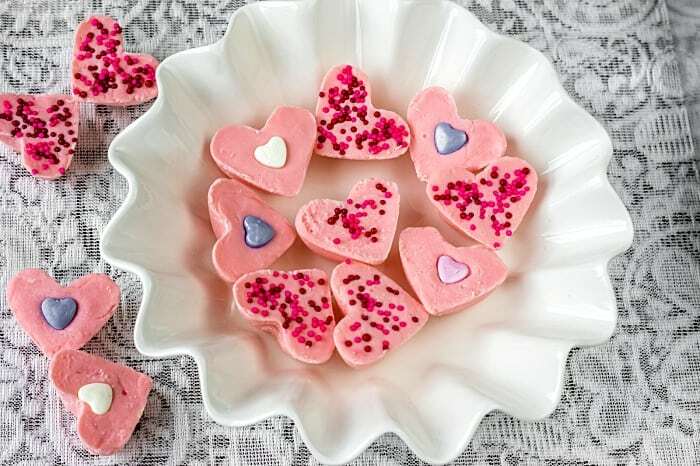 You can easily make this 2 ingredient fudge recipe and cut into traditional squares, but I love the idea of using a heart shaped silicone mold for Valentine’s Day. I grab my molds on Amazon since there are so many great options. 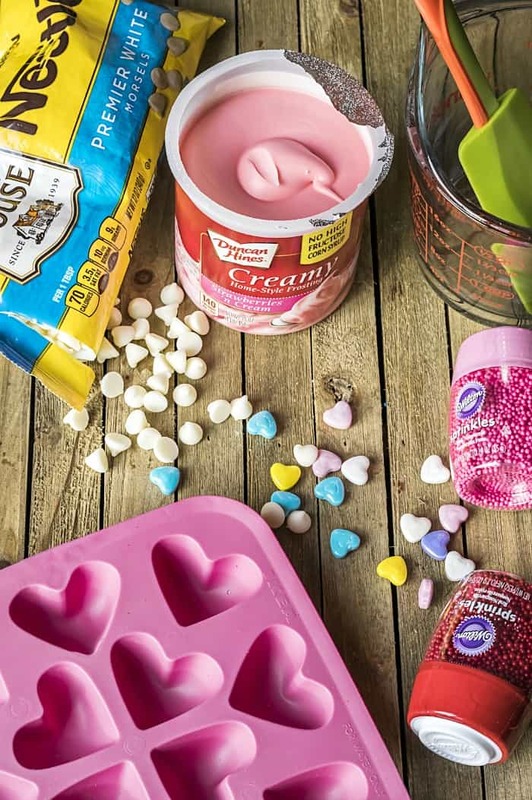 You can chose molds in the shape of a heart, roses, flowers, or even cupids. 1) Place the white chocolate chips in a microwave safe measuring cup or bowl. Microwave in increments of 15-20 seconds, stirring between each increment, until all of the chocolate chips are melted and smooth. 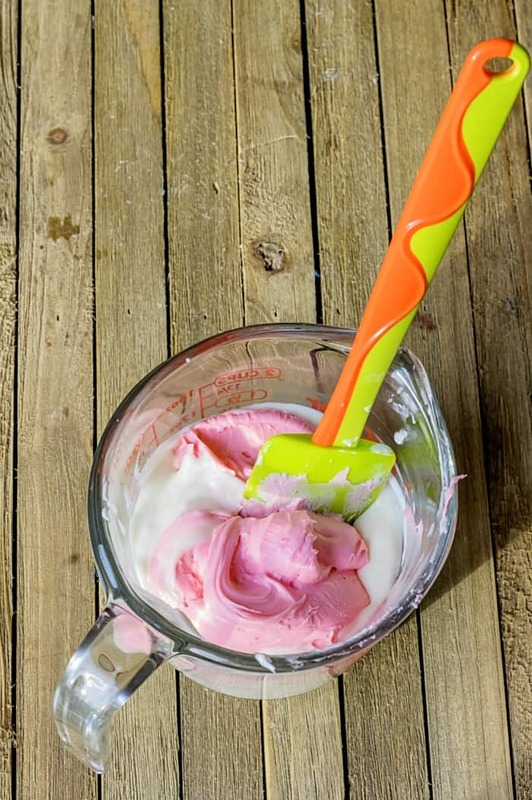 2) Add the strawberry frosting into the bowl with the melted white chocolate chips. You will use all of the frosting. Microwave this for 30 seconds. #3) Remove and stir until everything is smooth and well combined. 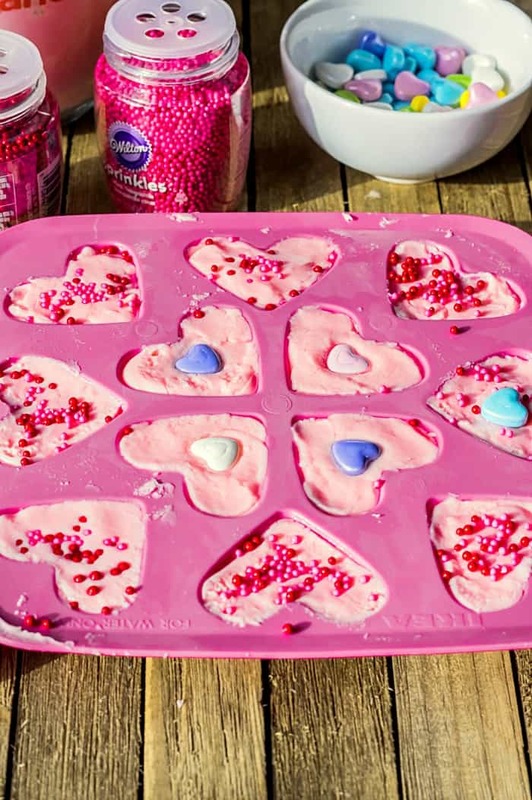 #4) Pour evenly into pan or mold. Tap to spread in mold and remove any air pockets. You may wish to top with sprinkles or small candy pieces. 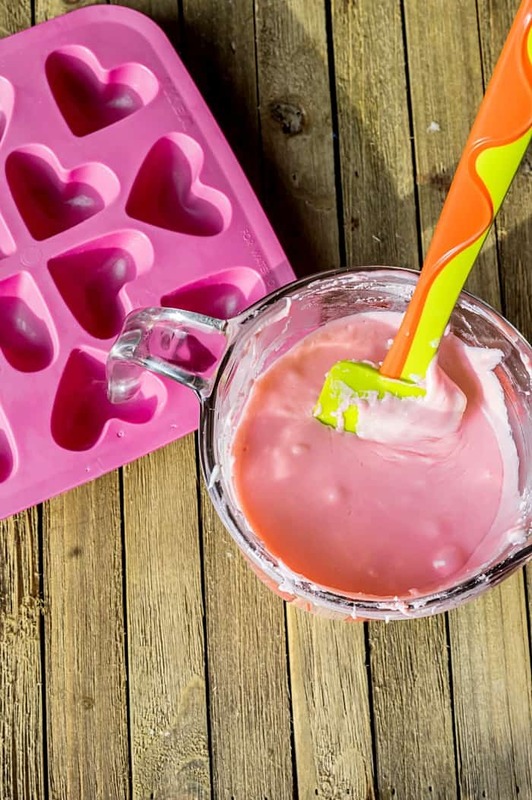 #5) Refrigerate for 45 minutes before removing from the mold. If this 2 ingredient fudge begins to soften after removing from the mold, simply pop back into the refrigerator for storage to keep firm. NOTE : If you are not using a mold for the fudge, I recommend lining your 8”x8” pan with foil or parchment so it is easy to lift the fudge out to slice into squares for sharing and serving. 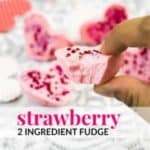 If you like this easy Strawberry 2 Ingredient Fudge Recipe, then you will love using different combinations of flavors to create other unique fudge recipes. Remember that the base of this is one container of frosting with one package of chocolate chips. 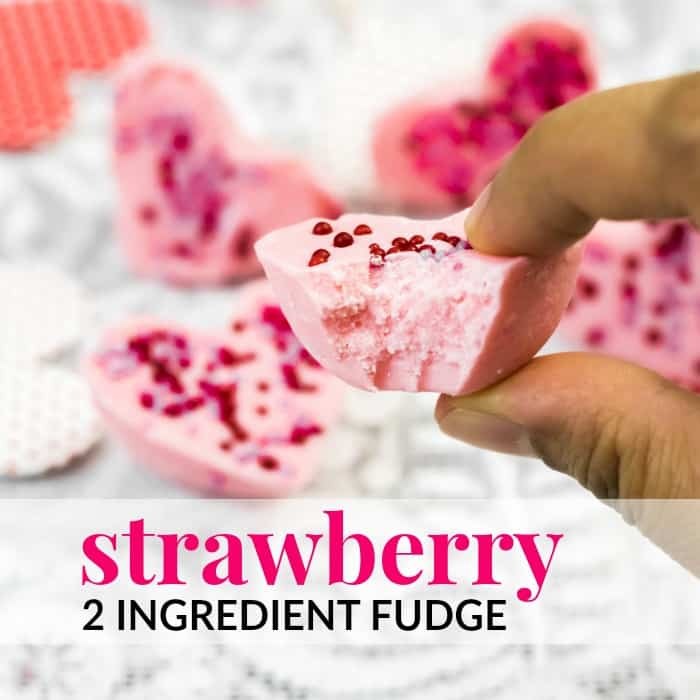 As you can see, this is a super easy 2 ingredient fudge recipe that makes a delicious strawberry fudge that everyone will rave over when you share at Valentine’s Day. 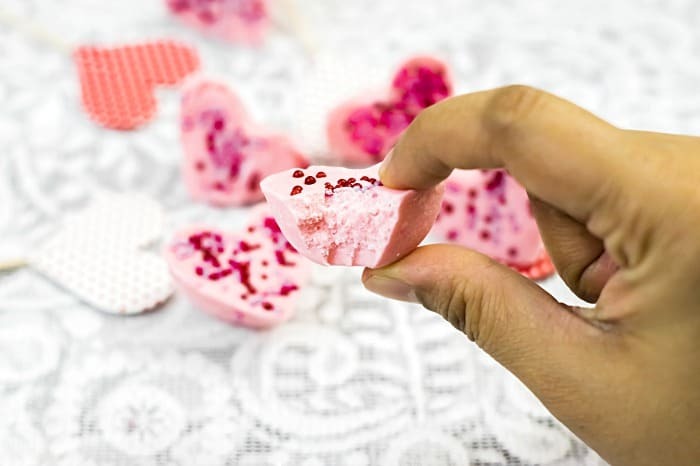 You can easily add this to gift baskets for friends and family, or wrap in small cellophane bags to act as your Valentine treat for your kids or spouse. 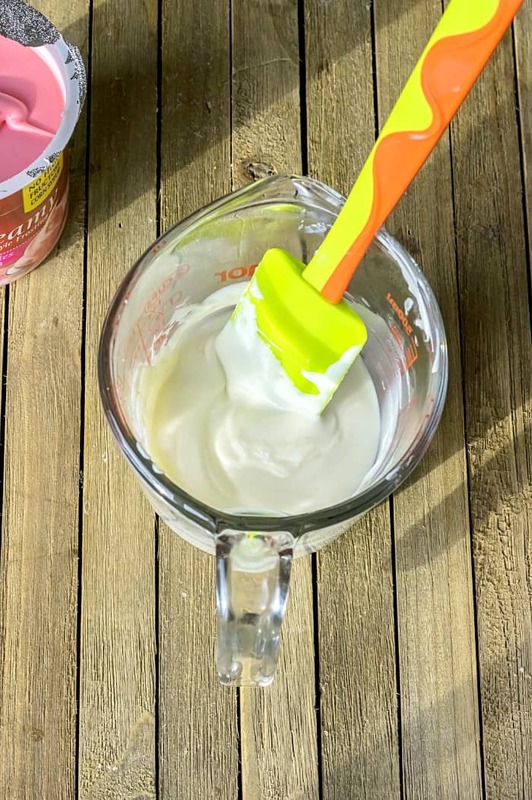 Place the white chocolate chips in a microwave safe measuring cup or bowl. Microwave in increments of 15-20 seconds, stirring between each increment, until all of the chocolate chips are melted and smooth. 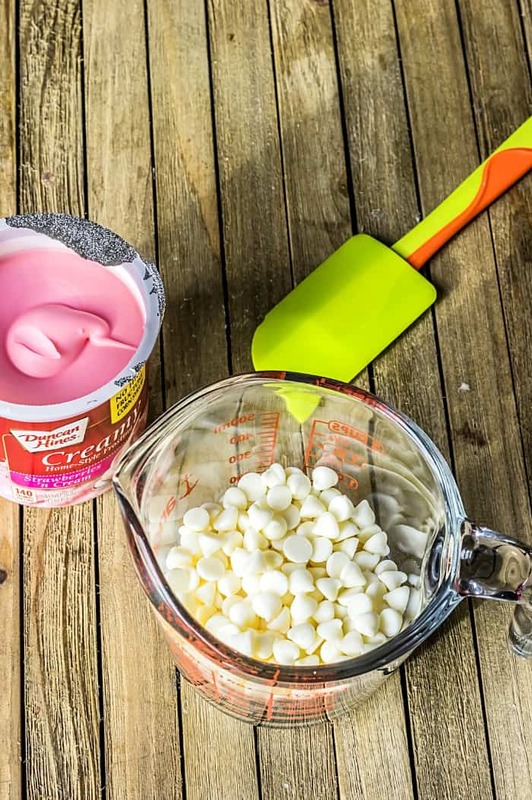 Add the strawberry frosting into the bowl with the melted white chocolate chips. You will use all of the frosting. Microwave this for 30 seconds. Remove and stir until everything is smooth and well combined. Pour evenly into pan or mold. Tap to spread in mold and remove any air pockets. You may wish to top with sprinkles or small candy pieces. Refrigerate for 45 minutes before removing from the mold. If this 2 ingredient fudge begins to soften after removing from the mold, simply pop back into the refrigerator for storage to keep firm. 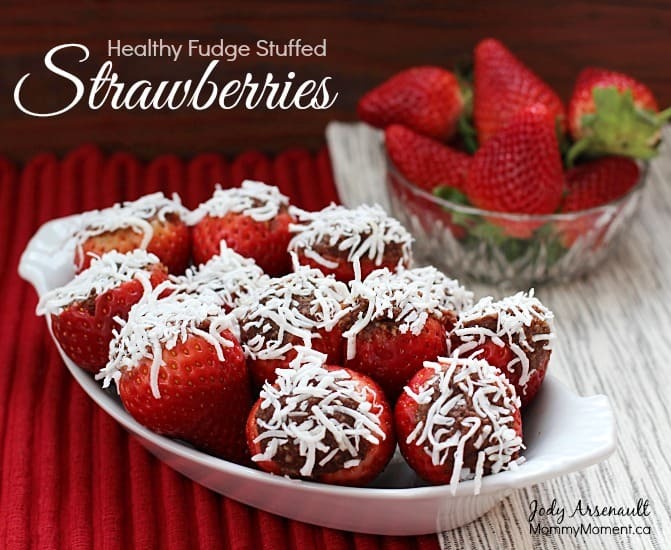 I’ve never had strawberry fudge. Great idea for the kids. 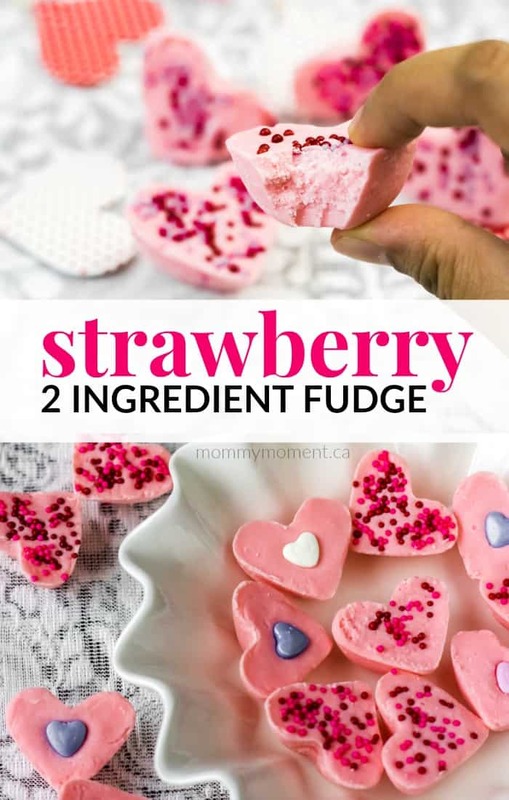 I would never have thought of making strawberry fudge, but this sounds delicious. So simple and looks really good. We are going to try this.